President Barack Obama spent his summer vacation in each of the first three years of his presidency at Martha’s Vineyard in Massachusetts. The president skipped his annual Vineyard vacation during 2012’s re-election campaign. 14: Number of vacation trips taken by Obama since he took office in January 2009. 92: Number of days, all or in part, Obama has spent on vacation. 57: Number of vacation trips taken by Bush at this same point in his presidency. 50: Number of visits Bush made to his ranch in Crawford, Texas. 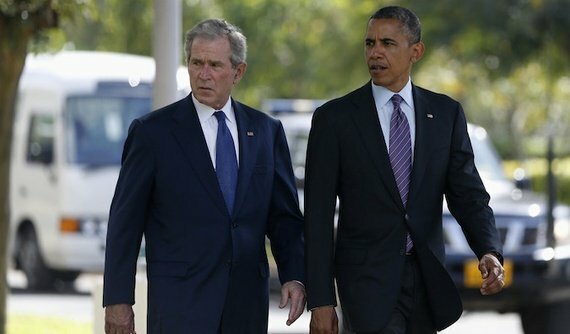 323: Number of days, all or in part, Bush spent at the ranch. 7: Number of trips Bush made to his family’s compound in Kennebunkport, Maine. 26: Number of days, all or in part, Bush spent in Maine. The numbers do not include visits to the Camp David presidential retreat in Maryland.